Riding and beer ……There’s nothing more satisfying than a perfectly crafted beer (and a burger) after a long day and rewarding bike ride with new and old friends. This is what I love to experience when taking someone out on a ride on our local tracks . The meeting of a new cycling friend and the chance to share my love of cycling lifts my mood . As we start riding and chatting I learn about other cyclists lives and passions . Some rides are slow and casual with many stops to admire the views. Others are fast and technical with exhilarating single tracks as a reward ! 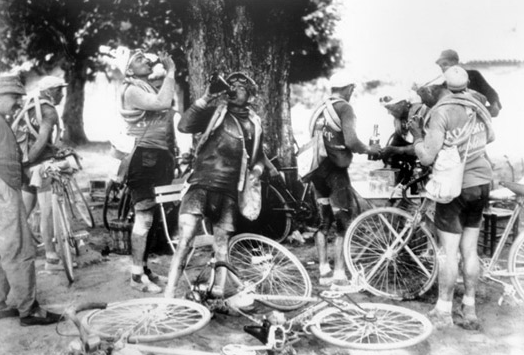 Some riders finish off with a chocolate milk and others a coke or beer . It is that after ride satisfaction and chance to recall the thrills (and maybe spills) of the ride and to find that shared enjoyment in the sort – no matter from where in the world you are from. As a result, I am always happy to take someone new on a ride and having the satisfying knowledge that I have shared a bit of myself and maybe passed on a new skill or confidence . I love it when someone has ridden out of their comfort zone and discovered an inner strength and a sense of accomplishment after an epic ride . I also come away with someone else’s riding stories and hopefully , after ,we all are a little richer for the experience. So come along with me – get a rental or ride your own – and I will show you a glimpse of our cycling mecca.